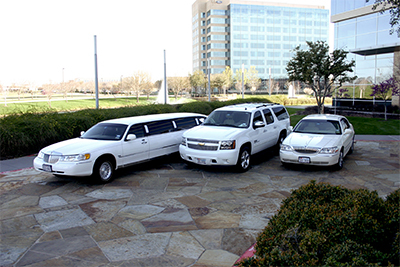 Pollard’s executive Car Service to DFW airport and love field is your provider of quality transportation. Airports, dinner, casino`s or sporting events. Our service is one that will offer you a professional atmosphere with a family touch of attention. We pride ourselves with on time service and competitive prices allowing you a relaxed no hassle experience. our desire is to become your car service for life. Just sit back, relax, and let us drive. Getting to and from DFW International Airport doesn’t have to be stressful or tedious. Let our professional drivers handle the planning and the driving, as they demonstrate their excellent knowledge of the best routes to use no matter what the time of day may be. Pollards Limousine Car Service is prepared to take you to your hotel, any DFW Metroplex area airport or other destination with our professional airport limousine service. Relax and Let us take care of everything. It’s the most special day of your life and the last thing you should be worried about is arranging the transportation for everyone involved in the festivities surrounding your wedding. We can provide you with a variety of packages tailored to meet your needs no matter what the size of your wedding or reception. Flower service, refreshments like bottled water and champagne and chauffeurs who are dressed specifically for the occasion will have your wedding go as smoothly as possible. You’ve been working hard and now it’s time to party. What better way to ensure that your night goes smoothly than to arrange for professional, glamorous and luxurious transportation from Pollards Car Service? We have a number of different packages designed to help you make the most of your time while playing hard at your favorite nightspots. It’s the biggest night of year and you want to make sure that the final impression you make on your high school class will be a big one. What better way to celebrate the end of an important chapter in your life than with a classy and luxurious celebration kicked off by a ride in a stunning stretch limousine. Our great rates and courteous, professional drivers will help make your prom formal one that you will remember for the rest of your life. Your service exceeded our expectations and we will not forget you the next time our business sends the boss to your area. He travels all over the country consulting, but he doesn’t have regular visits. We would recommend you to any of our business or personal contacts. Why Taxi? When You can have luxury car service for the same price.